Get your WOD on without any need for weights, with this Bodyweight WOD Pack. All you need is a place to hang the wood gymnastic rings, and you've got everything you need for bodyweight WOD-ing. This pack comes with a set of wood rings (complete with adjustable straps), an ab trainer, a speed rope, and a lightweight Fringe Sport backpack to carry it all. Everything in this pack fits comfortably in the drawstring backpack. Easy to take with you if you're traveling or heading outside for a workout. 28mm Wood Gymnastic Rings with 20ft Adjustable Straps: We leveraged all of our knowledge about the needs of functional fitness enthusiasts to create a set of gymnastic rings that would satisfy their every desire. From the material choice to the thickness, texture, and strength, these rings were designed to the same specifications as rings used in WOD competitions around the world. These 1.25" diameter rings are as durable as the Earth is round... add these rings to your box or gym and they will be the last pair you will ever have to buy! Material: Wood (Birch) and 1.5" polyester webbing and aluminum motorcycle-style cam buckle. Abdominal Trainer: This ab trainer provides a full range of motion to work the entire abdominal muscle group. It can also be used for other stretches, like those involving kneeling that you can use to protect your knee. It's compact size makes it portable and easy to take anywhere. Dimensions: 12 inches wide, 14 inches long, and 3 inches at the highest point. 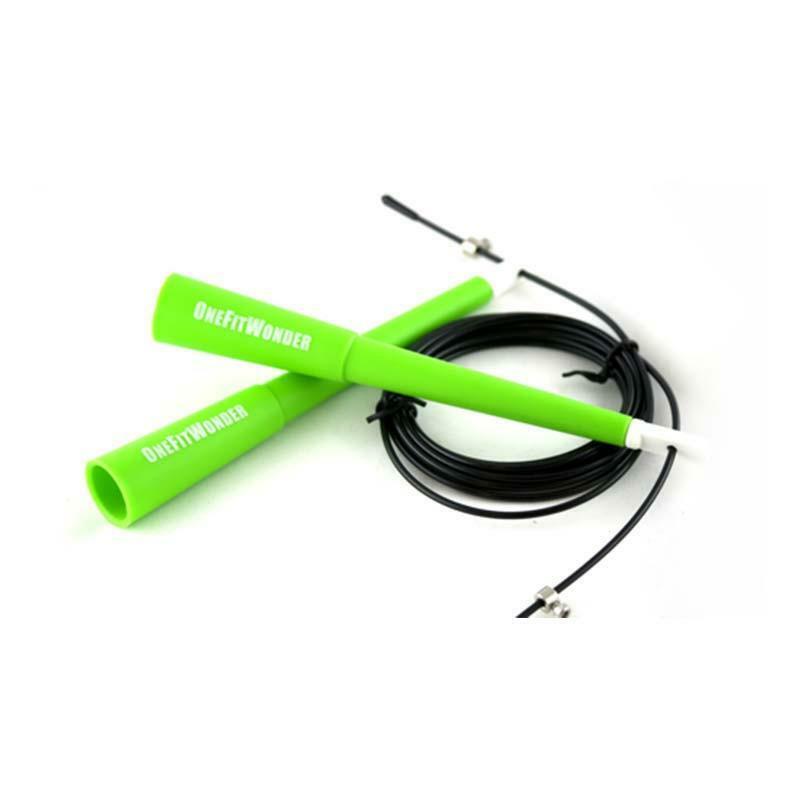 Cable Speed Rope: These Fringe Sport Cable Speed Ropes are a much higher quality and thoughtful design compared to your standard speed rope. Infinitely adjustable - by hand! No need for a screwdriver or allen key. Plus, get more uses from your gymnastic rings with these 3 overlooked exercises. Have any other bodyweight WODs using this pack or even no equipment? Send us an email at team@fringesport.com, we'd love to do them!